This undated photo obtained from a facebook page shows missing toddler Ayla Reynolds. 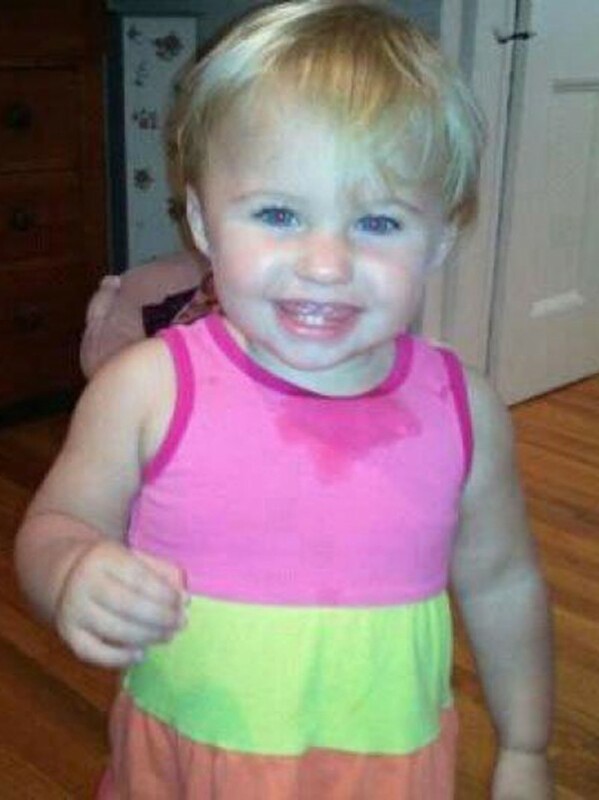 Police in Maine are appealing to the public for help in locating the 20-month-old girl. Waterville Police Chief Joseph Massey (right) addresses reporters on Monday, Dec. 26, 2011, on the status of the investigation into the disappearance of Waterville toddler Ayla Reynolds. In the center is Waterville-area attorney John Nale, who with other business owners has offered a $30,000 reward for information that leads to the discovery of Ayla's whereabouts. 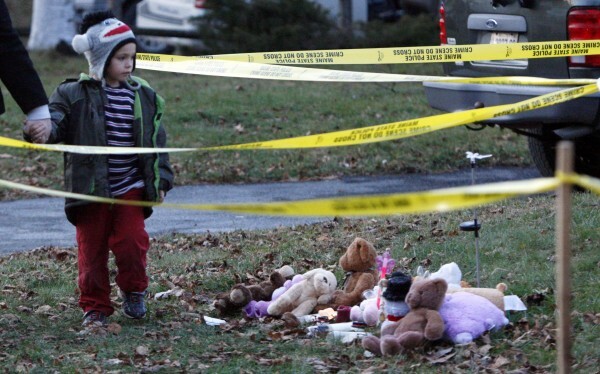 Isaiah Vear, 5, of Waterville leaves a memorial after placing a toy for missing 20-month-old Ayla Reynolds outside the toddler's home, Thursday, Dec. 22, 2011, in Waterville. WATERVILLE, Maine — Waterville Police Chief Joseph Massey said Monday investigators have ruled out the possibility that missing 20-month-old Ayla Reynolds wandered away from her home and are focusing on identifying who took her. Meanwhile, a group of local business owners announced Monday they are offering a $30,000 reward for information that leads to finding Ayla. Massey would not answer questions from reporters about who might be responsible for the toddler’s disappearance. Monday was the first time that Massey or anyone else involved in the investigation has publicly ruled out any of several scenarios that could explain Ayla’s disappearance. 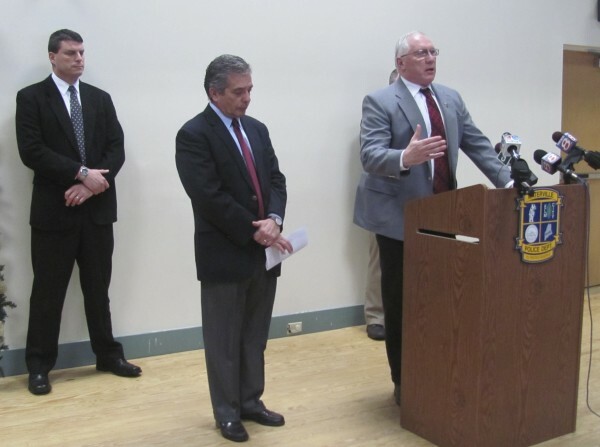 Area businesses and individuals, led by Waterville-area attorney John Nale, contributed to a $30,000 reward fund to be used for any information that might lead investigators to the missing girl. Nale presented the reward money to police during the press conference Monday afternoon. “I ask and plead that the person or persons who have young Ayla Reynolds, that they please keep her safe and return her safely to us,” said Nale, who encouraged anyone with information to call the Waterville Police Department. Stephen McCausland, spokesman for the Maine Department of Public Safety, said to his knowledge this reward is the largest one of its kind in the state in the history of such cases. Ayla Reynolds was reported missing by her father, who said the last time he saw his daughter was when he put her to bed. He reported her missing the next morning. The Waterville Police Department’s telephone number is 680-4700.